We usually did our testing at the beginning of April, after Spring Break. 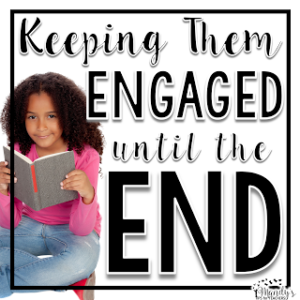 The kids were burned out, I was burned out, but I still had to teach. I always saved poetry for this time because you can do SO MUCH with it. You can also incorporate LOTS of art into poetry. And I loves me some art! Are you looking for some poetry stuff? 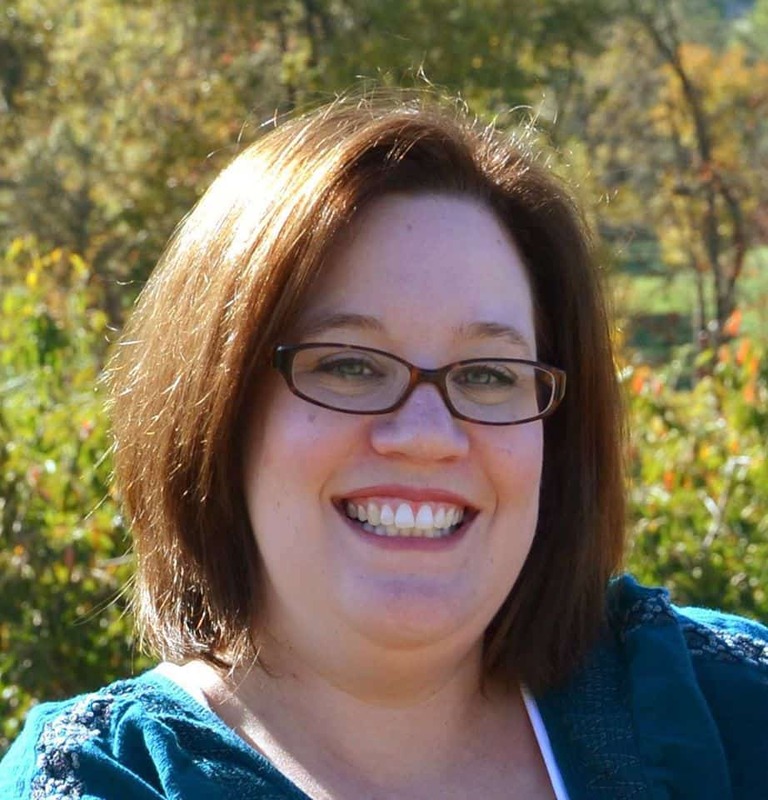 I thought I would do a collection of poetry resources from my website and past blog posts. 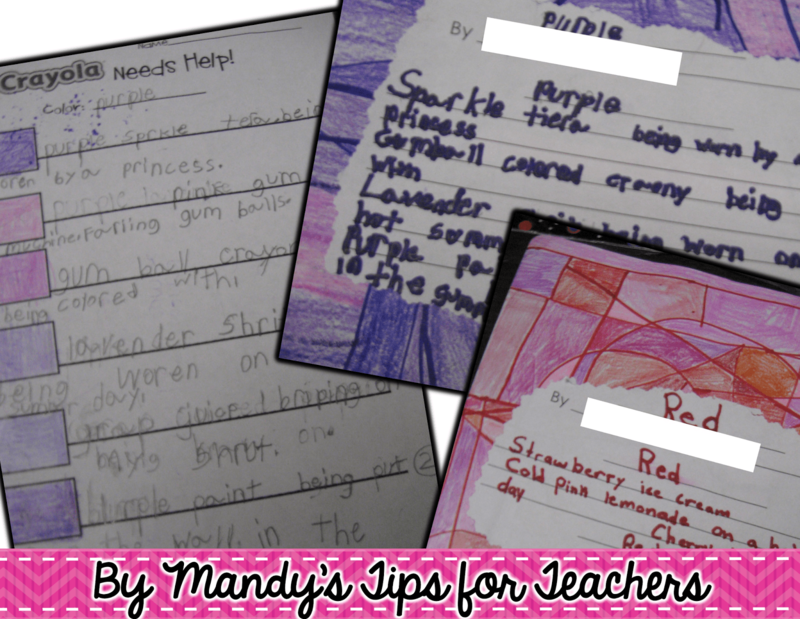 Teaching kids to write poetry is always fun. Especially when they realize it doesn’t all rhyme- there is more to poetry than cats and hats! 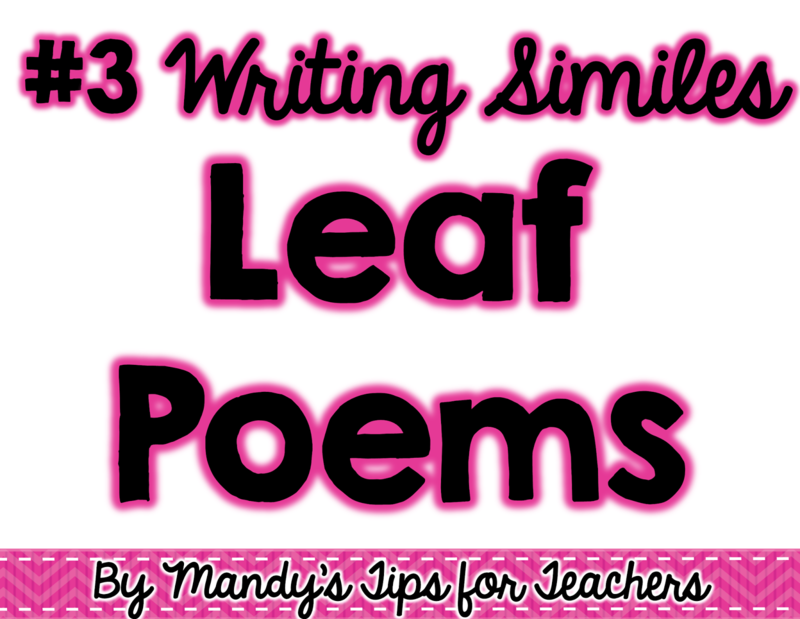 This poetry writing activity is not my original creation. I learned it from a master teacher that I worked with many years ago. I STILL want to be just like her! 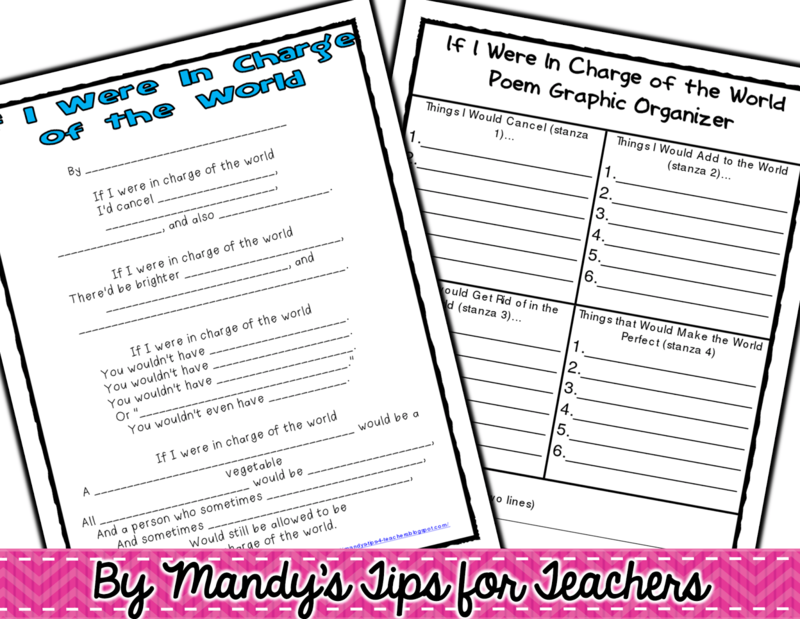 In this activity, students use the poem If I Were in Charge of the World by Judith Viorst as a model and write their own version. 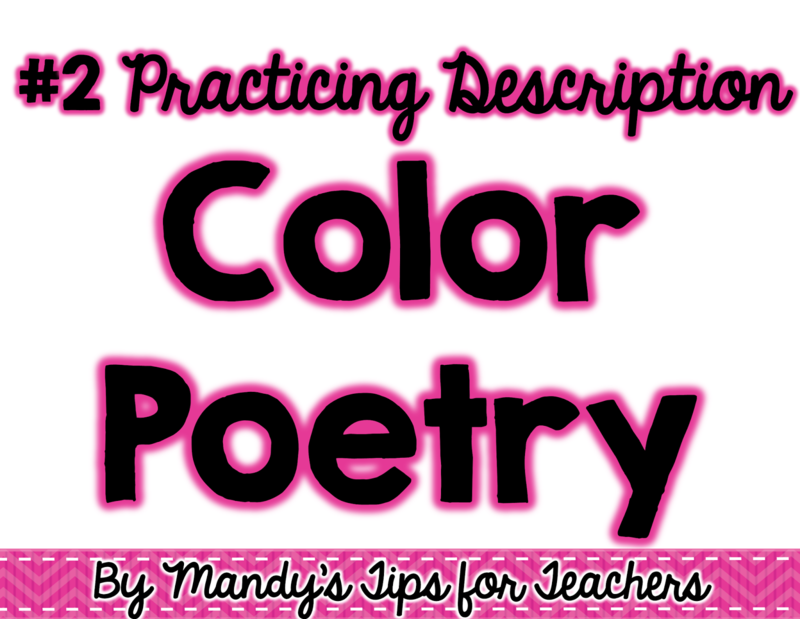 In my blog post I included some materials that make writing the poem easier. I have done this many times, over many years. I learned this at a workshop many years ago and thought it was so clever. 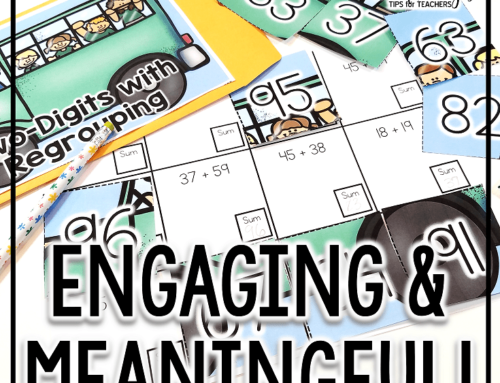 Yet again, it is not my original idea, but I tweaked it many times over the years I did it with students. 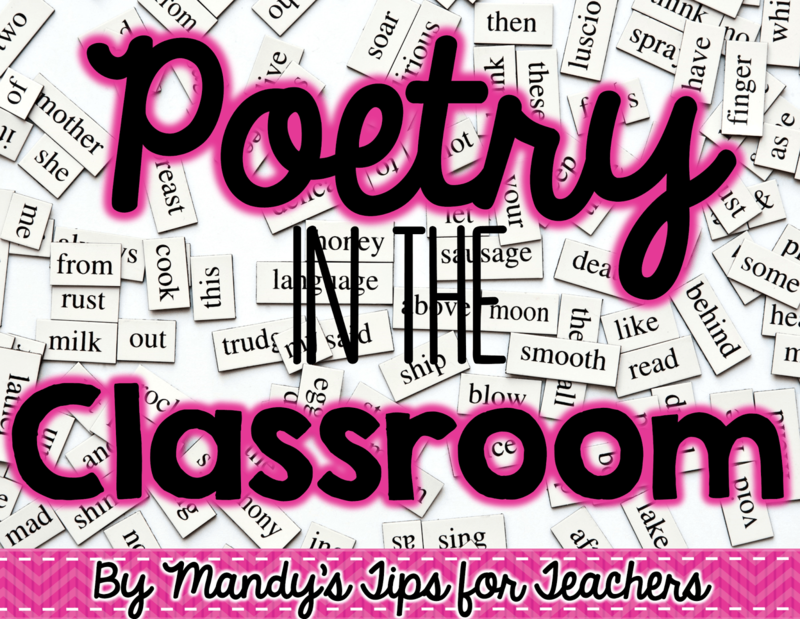 You can get the printables I created to help students plan their poems here. After students wrote the poems, we created these really cool line art thingies, using the letters in their names. 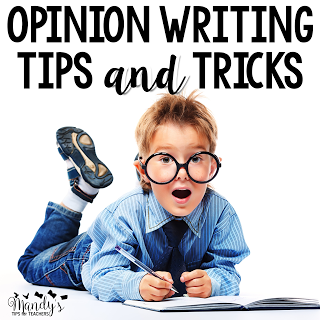 You can see examples and read about how to do that in this post. I wrote this FOREVER ago on my website. Yet again, the idea was shared from an amazing colleague and it is NOT my original idea. 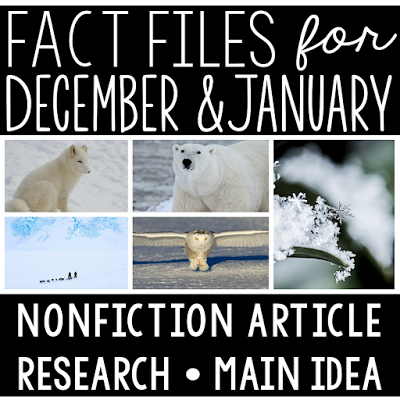 It is a mini unit with five days of writing lessons on how to incorporate similes in writing. I used to do this in the fall with fall objects. You could easily change the season, with new objects. To publish it, students typed their poems. Then, we traced leaves on card stock and colored them with pastels. 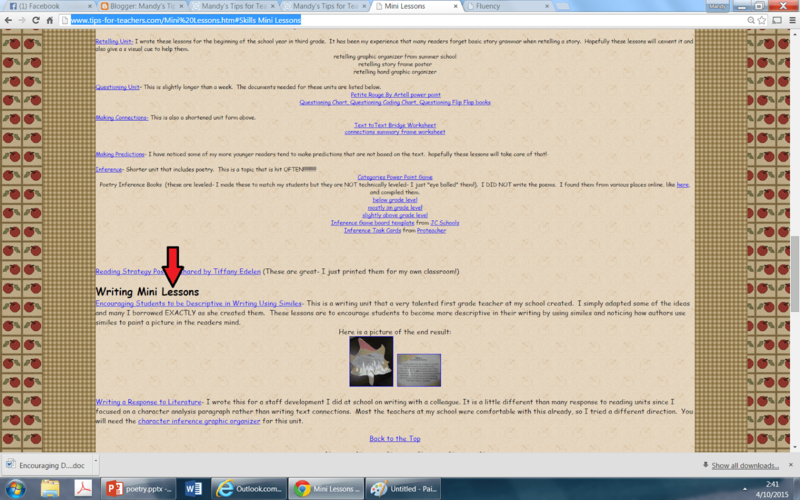 If you are having a hard time finding the lessons, they are on on my website by the red arrow- the site needs some help because it is just too big and hard to navigate now! I know this might surprise you, but I also learned this from a colleague. Seeing a theme here? We are only as great as the colleges we work with! 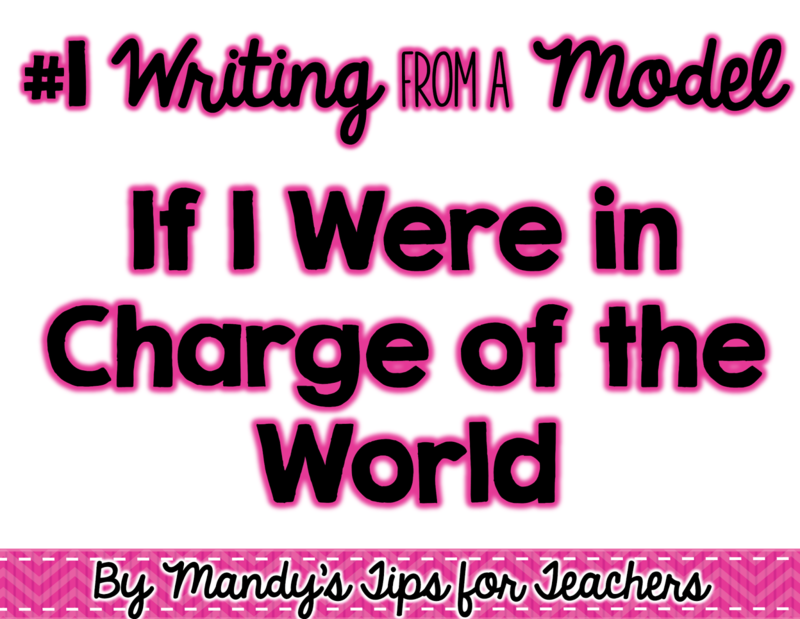 This is the same lady that shared the If I Were in Charge of the World poem writing activity. It is pretty much a Close Reading of the poem Grandmother’s Brook. 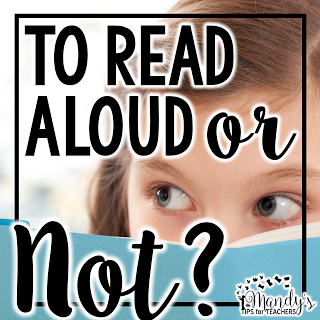 We did Close Reading before Close Reading was cool! We carefully read the poem and discussed what we visualized. 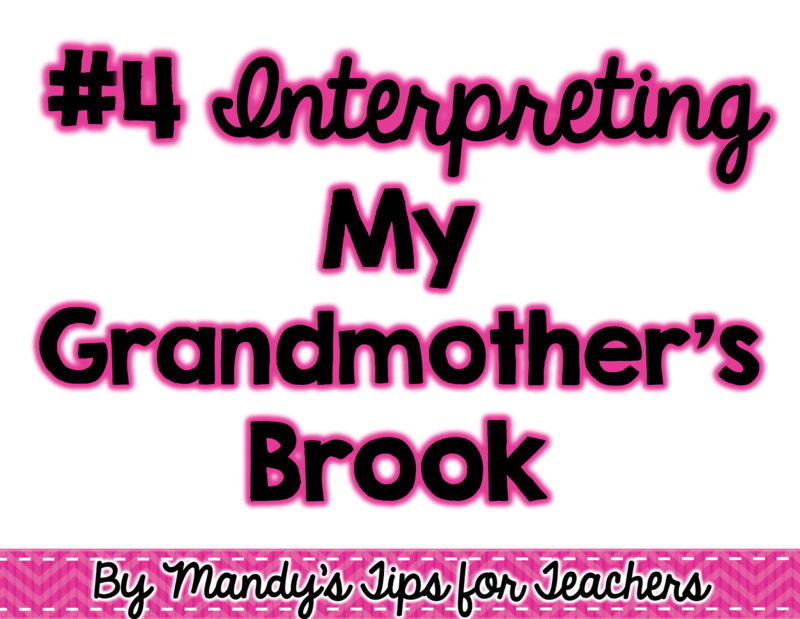 We read over it several times and focuses on the word “brook,” a relatively unused word here in the south. Students are more like to call it a “creek.” After we visualized the poem, we drew a picture of our visualizations over the poem and water color painted them. Kids loved it. 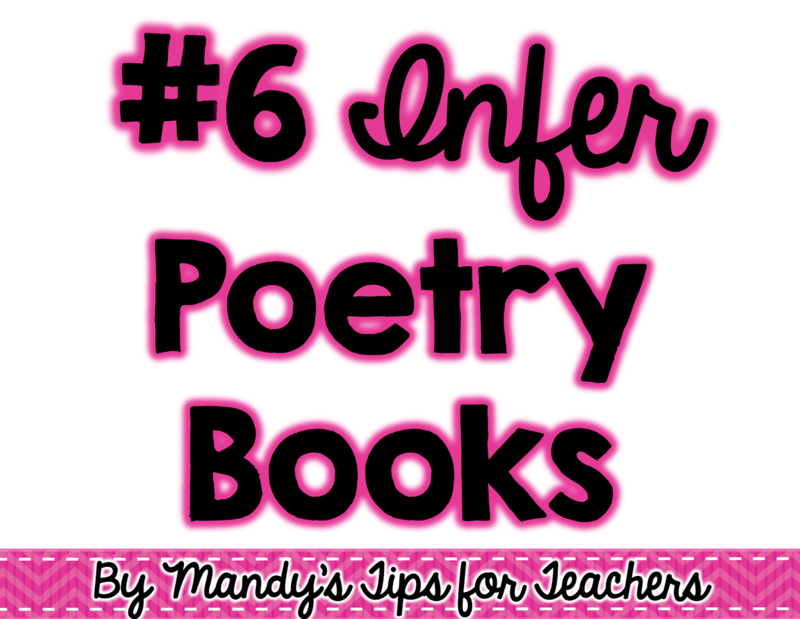 Click here to get your copy of the poem! This is yet another oldie, but goodie from my website. 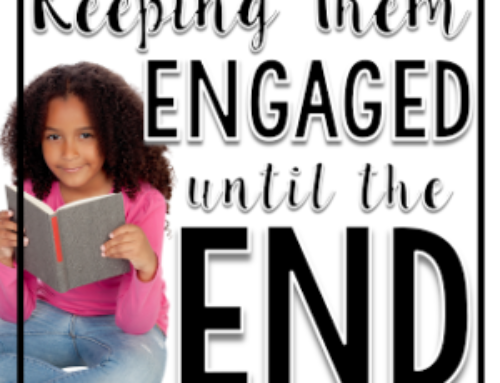 I was inspired by some fellow teachers from the internet to create a fluency reading homework project. My kids ADORED it. You can read more about it and get several months worth of poems, printed and ready to go here. 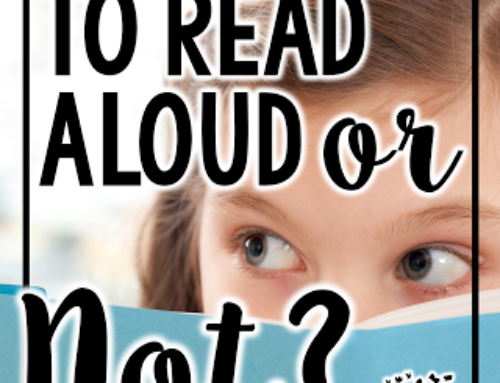 These would also be great to use as reader’s theaters for fluency practice. Last, but not least we used poetry to infer. 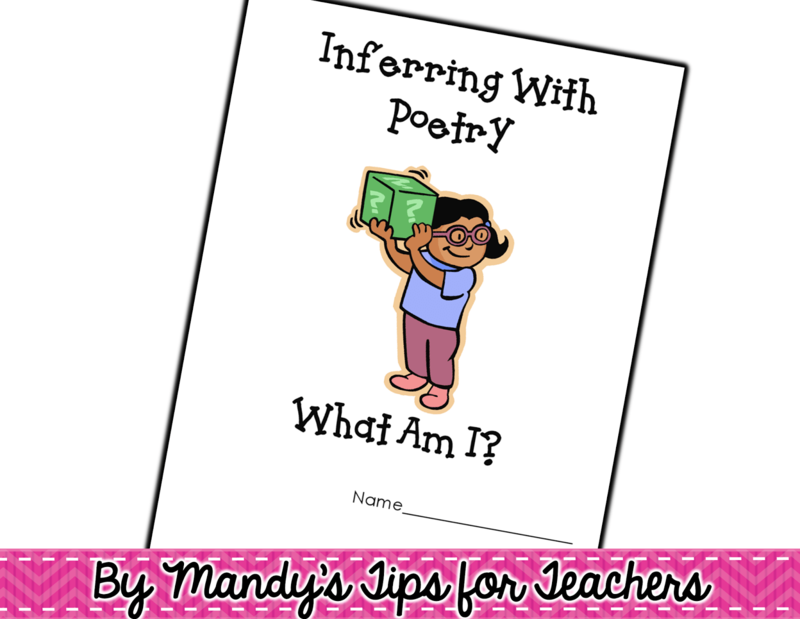 I found some fantastic poems on the web that all all about inferring the topic of the poem. I didn’t create or write the poems. 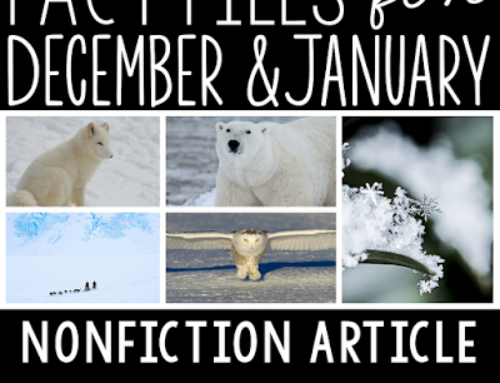 I just put them in a booklet format. The writer was a genius!!! I made three different formats- from easy to most difficult. 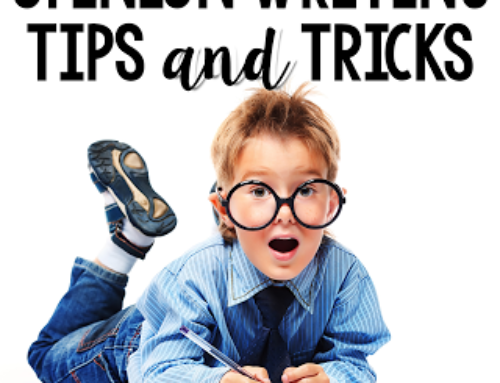 You can get your copies, and read how I used them here. 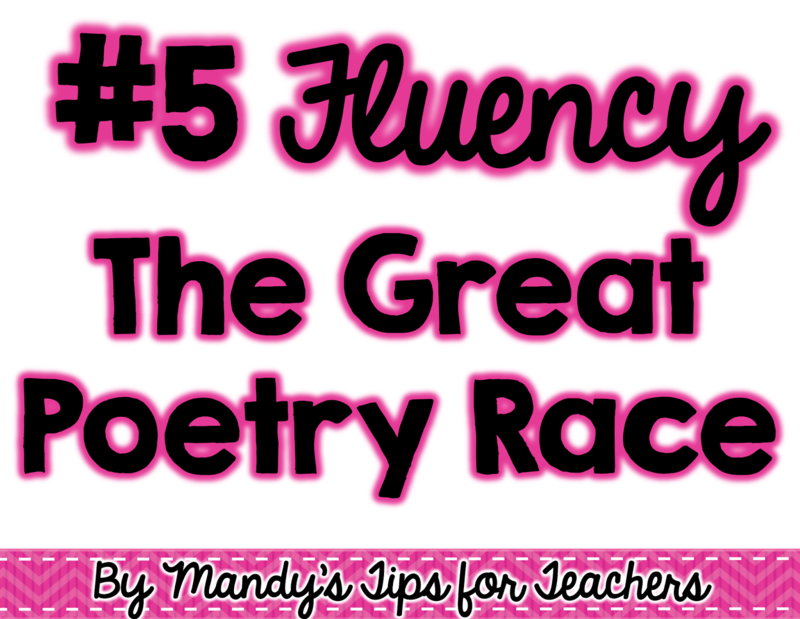 I hope this gives you a few ideas of how to celebrate poetry month!!! Thank you so much. 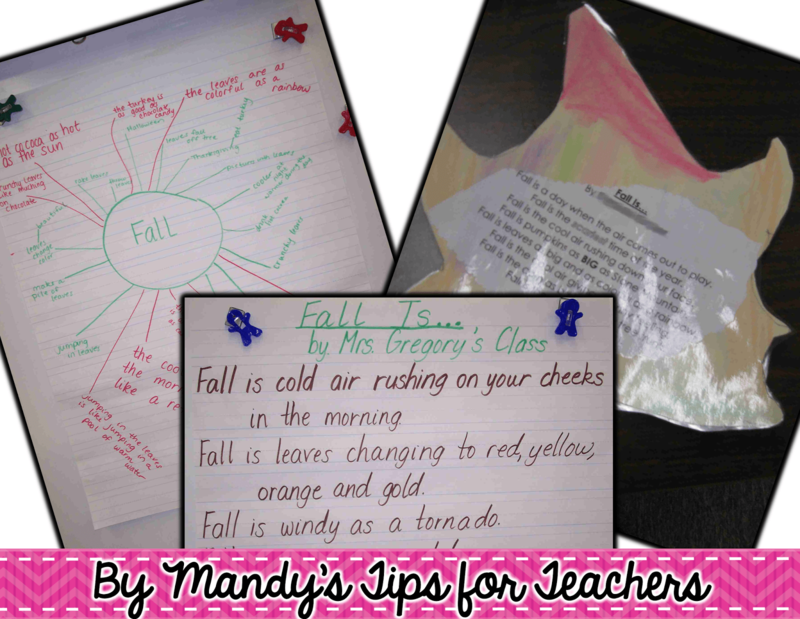 We have just started our poetry unit and i am always looking for new things to keep it fresh for me.